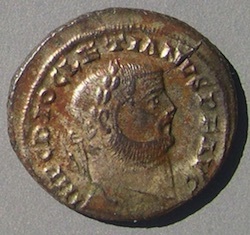 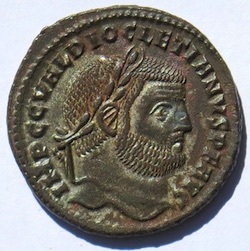 GENIO POPVLI ROMANI portrait coins of the First Tetrarchy, arranged by mint. 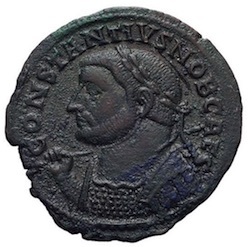 Click the image to see the whole coin. 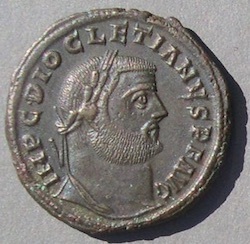 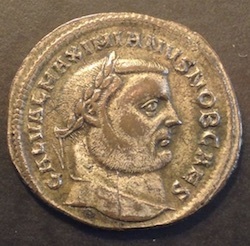 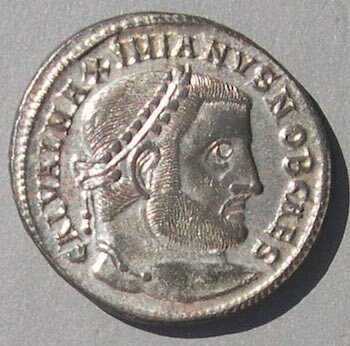 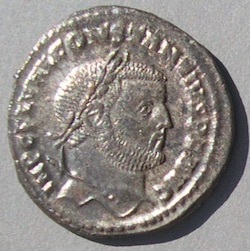 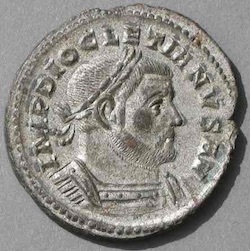 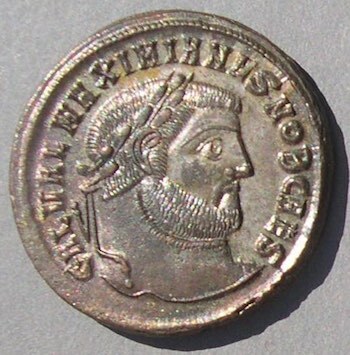 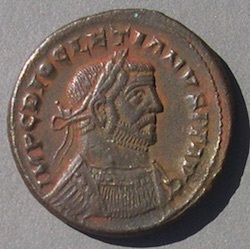 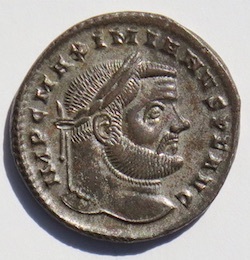 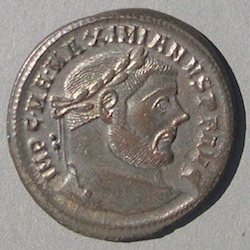 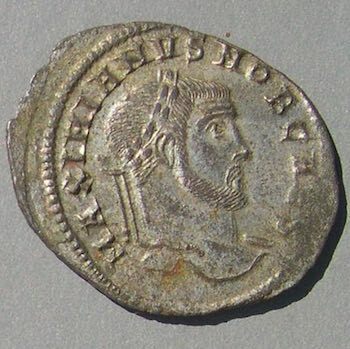 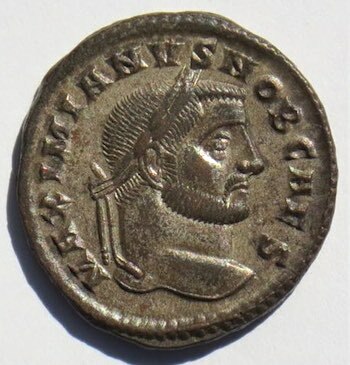 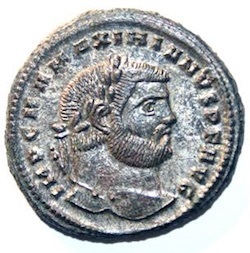 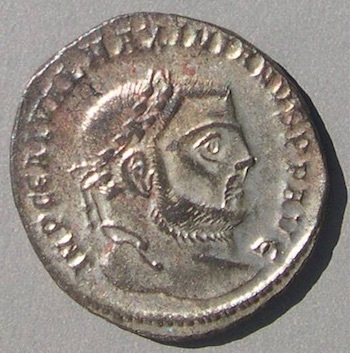 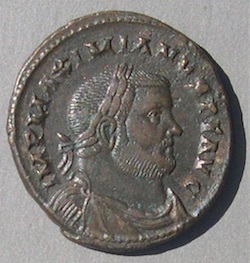 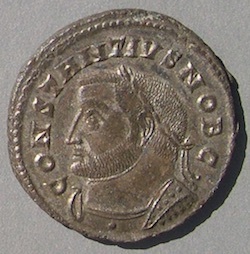 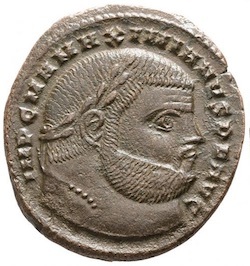 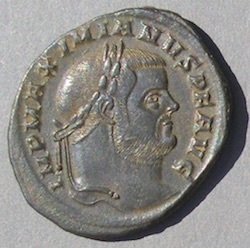 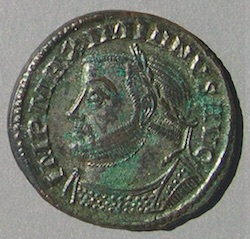 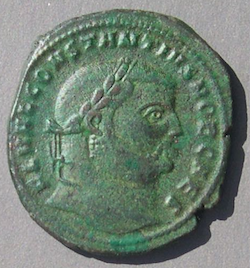 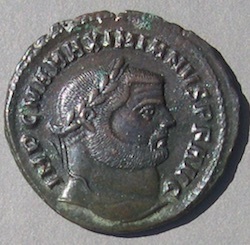 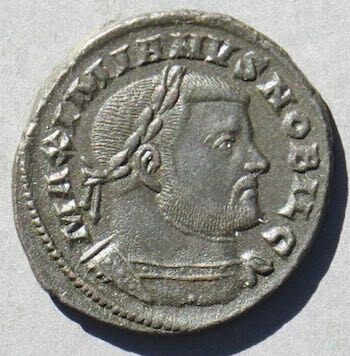 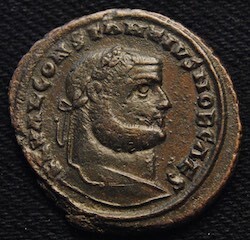 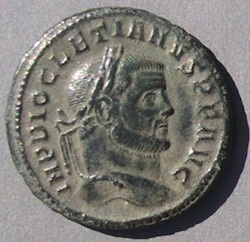 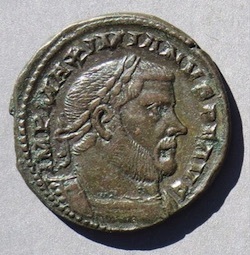 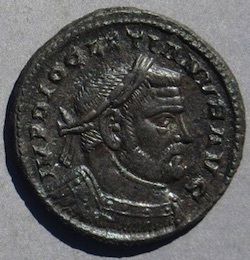 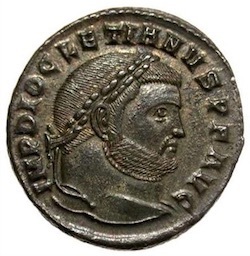 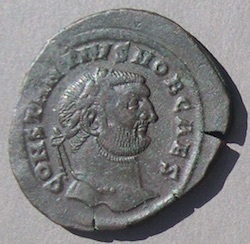 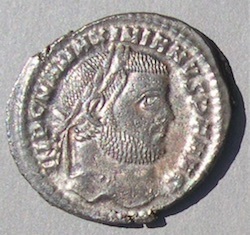 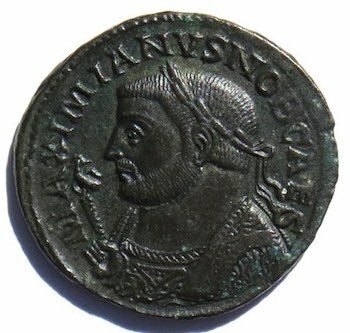 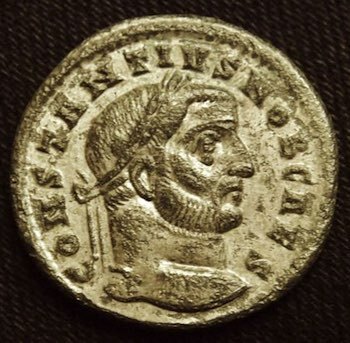 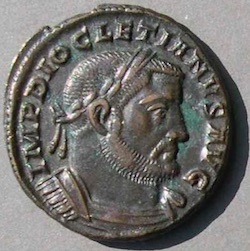 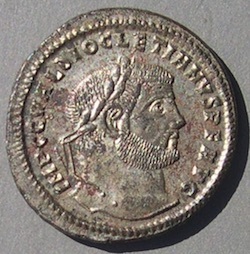 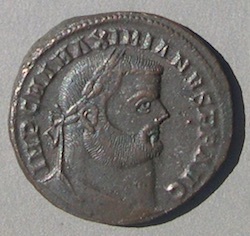 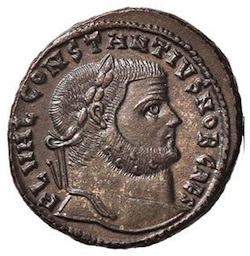 Distinguishing Maximian from Galerius. 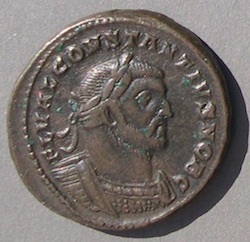 Using only the legend this can be tricky. 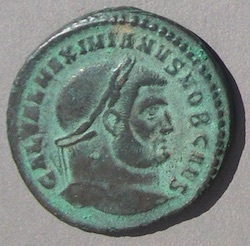 Both used "MAXIMIANVS" in their legends. 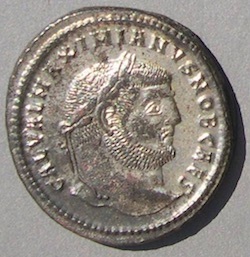 Here is a page explaining the differences in legends. 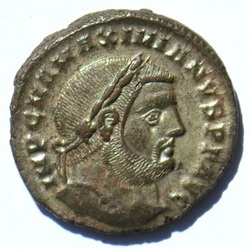 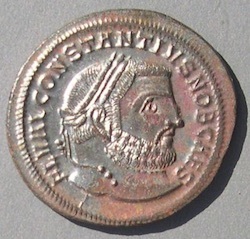 Note: This page does lacks images of at least a dozen common emperor and mint combinations. 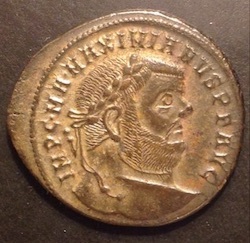 It does not mean they are rare; it just means I don't happen to have that combination to show here. 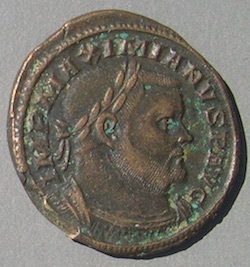 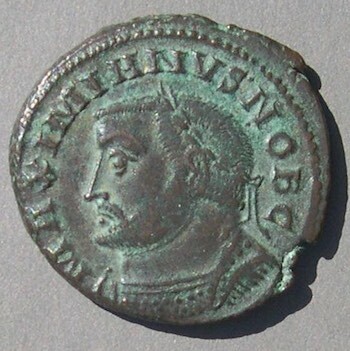 Go to the GENIO POPVLI ROMANI pages organized by emperor. 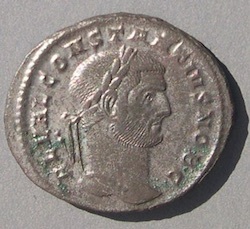 Go to the Table of Contents of the educational site.